JS Event - professional business template from the developers JoomShaper for sites made on Joomla 2.5. This template is designed to create different presentations of future events, parties, seminars or conferences. For convenient reference time to the beginning of certain event, the developers have created a new module - SP Countdown. 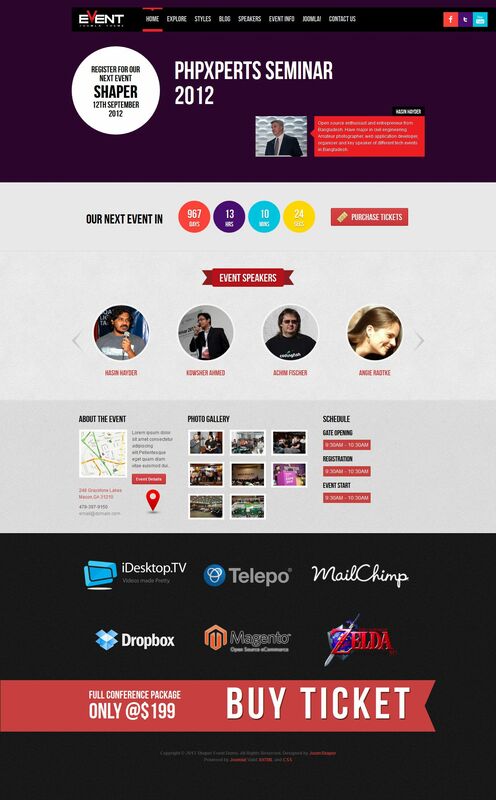 Light and modern design layout meets all the requirements that apply to modern sites. The template presented 8 preset color themes, flexible modular design, support for mobile devices, and more. There is support for component K2 and many extensions studio.